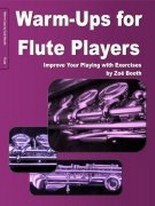 Spring is definitely here, and Flutes at the Barns is well into its yearly programme of courses and events. The first course of the year took place at the end of February to March, and we've had the first themed Flute Days in January, February and - most recently - the Low Flutes Day on the last Sunday in March; what a great day it was, filled with the delicious sonorities of the alto and bass flutes and specialist warm-ups, flute choir, repertoire and performances to put these bass beauties in the spotlight for once! Thanks so much to everyone who's already come along and thrown themselves into all the musical action, and to those who are signed up for more great FATB events coming along; the next two flute courses are soon coming up and I know that participants are getting excited as we speak... as are we as we busily plan at FATB HQ! 3. triplets played simultaneously against duplets is a common way of creating ethereal moods or even making progress feel somewhat uncertain. such as in Gaubert's Madrigal or Debussy's Arabesque. Without at least one other musician we can't tackle the third of these, however, my download this month gives practice examples of the first two of these triplet uses. In particular, I'm really keen to show how it's possible to measure out triplet crotchets so that they are sure - so often these rhythms are "guessed" unfortunately. It's quite simple in theory, to subdivide the underlying beat into triplet quavers to support the triplet crotchet rhythm, however it does take a little getting used to in practice. You'll be rhythmical experts on the triplets by this time next month, so please visit again and we can focus on some exercises for making the most of our breaths for successful music-making!